We’re JDog Junk Removal and Hauling, a team of Veterans, Veteran and military family members providing junk removal and hauling services for homes and businesses in our community of Burleson, Texas. 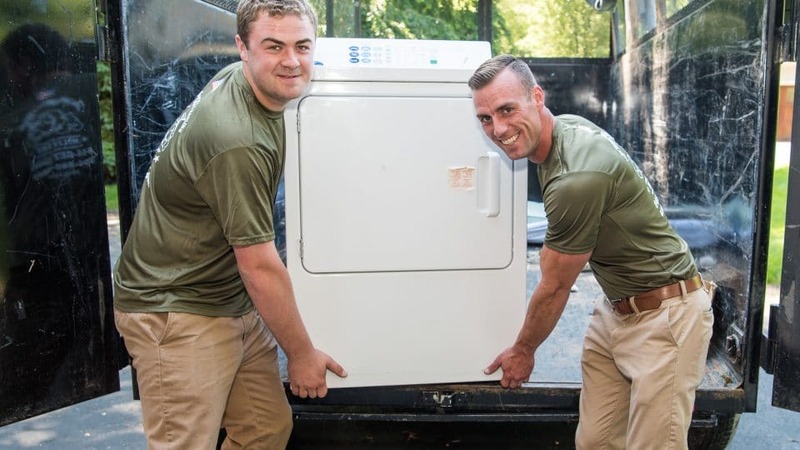 Priding ourselves in keeping 60-80% of what we haul out of landfills, we recycle and donate what we can while serving you with the same values we learned in the military: Respect, Integrity, and Trust. Whether you are renovating your kitchen, taking apart the swingset, or making improvements to your store, we are the right team to tackle your jobs, both big and small. If you need a trustworthy team to handle your junk, JDog Junk Removal & Hauling is just the one you’re looking for. Call us today at 844-GET-JDOG.